Monday’s show was brought to you in full Technicolour! 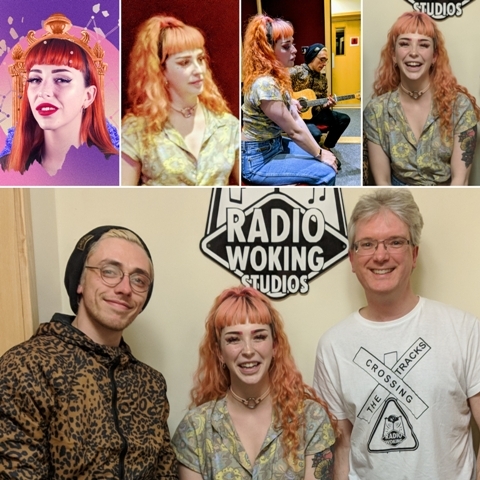 We were joined for the first hour by the delightful Dol Vita, whose track ‘Dream’ is a former Track Of The Week here on the station. With guitarist Tom she performed some fantastic live tracks and we talked about everything from charity shops to astronomy! Huge thanks to them both for coming in, and big thanks to everyone who got in touch too! Have a great week! Join us on Monday for a Bank Holiday special!